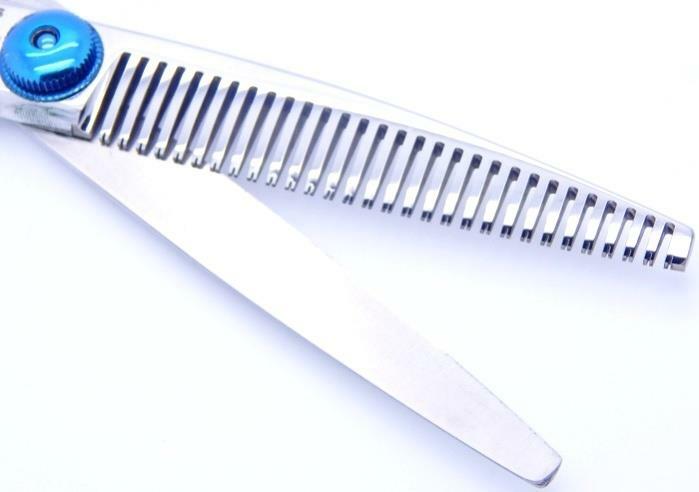 Texturizing Scissors - These are Styling Scissors with Teeth that wide apart and they are used to give movement to the coat/hair to make the groom look more natural. Ideal for coarse to medium coat/hair that is clean and beautifully prepared. These Scissors are for experienced and careful handling and cannot be shared. They are made from softer material such a Cobalt and have fine edged and the teeth are more complex. Texturizers are used with method and cannot be overloaded with coat/hair.